Wicker Park looks like many other neighborhoods in Chicago. On every corner there are franchises such as CVS, Subway and McDonald’s. Wicker Park used to be a thriving Polish community, but lately, there has been a dramatic decrease in the amount of Poles. “Gentrification is the main cause,” said Adam Aksnowicz is a 22- year-old docent at the Polish Museum of America. He grew up in Arlington Heights and he earned a history degree from the University of Illinois Chicago. Another person trying to keep Polish culture alive is Helena Madej, a 76-year-old owner of Podhalanka restaurant. “This neighborhood has changed the past 15 years. It is better because before it was very dangerous,” she said. Madej has lived in Wicker Park for 30 years and she noticed the change in the population of Poles in the area. Wicker Park used to be a dangerous area and that may be the reason for the Polish population leaving, she said. “Customers change; when I came to the area a lot of Polish people lived here, 15 years, later it changed, Polish people left.” Madej said. In Chicago’s Wicker Park, a neighborhood of hipsters, there is one woman who clings to the traditions of the old Polish neighborhood. Helen Madej 76, talks about how the neighborhood has changed. “When I came, a lot of Polish people here, but time goes by, younger people come and make condos,” Madej said. She also speaks about how the neighborhood has become safer then what it used to be. She also says she came to Chicago because of family and opportunities. “Because I had family here and my grandfather came in 1905 I came in 1971. Life is a little bit different and different people live here,” Madej said. During the time of the first immigration waves to America from Poland, most came for work and safety. The first wave of immigrants didn’t have much education they didn’t mix too well with the new generation. When the second wave of immigrants came, they didn’t fit in, so they left the Wicker Park area and set up a new Polish community on the far west side of Chicago and in the suburbs. Aksnowicz also says that there won’t be any more waves of immigration from Poland. The number of Polish people in Wicker Park is pretty low. Just recently, Poland became part of the European Union, making it easier for people in Poland have more of a chance to make a life in Europe. Most people won’t be immigrating to. Yet the Polish will continue to impact the Wicker Park Area. Adam Aksnowicz, docent and collections care assistant for the Polish Museum of America, is an example of the past and present of Chicago’s Wicker Park. Living in an area that was once a headquarters for Polish heritage and tradition, Aksnowicz has made the adaptation from traditional Pole to modern hipster. This does not change Aksnowicz views on his heritage however. “It is extremely important to hold onto Polish customs and traditions but not hold on to them too much you know?” Aksnowicz said. Although the area has adapted to the modern changes of art and culture throughout history, Aksnowicz recognizes the importance of preserving the history of polish individuals as well as accepting the fate of society’s new diverse surroundings. Not only does Aksnowicz respect the past of his native people, but he also has learned to intertwine his own heritage with that of those who neighbor him. Podhalanka restaurant owner, Helena Madej, at the age of 76 shares similar viewpoints with Aksnowicz. Thirty years in the past, Madej was accustomed to naturally speaking fluent Polish language as well as dining on traditional potato pancakes and baked Polish goods. Now, looking back, she realizes that society has surely developed into a small franchise for larger corporations as opposed to small business owners. While Polish immigrants may be hesitant to accept the new surroundings, especially those that have experienced the integration of Poles into society first hand, Madej takes a more positive approach to the situation. “The people here are very nice and I have very nice customers.” Madej said. Her optimistic outlook provides a nourishing atmosphere and is likely a reason that her traditional Polish restaurant has not yet been overcome by large business owners as several others have been. 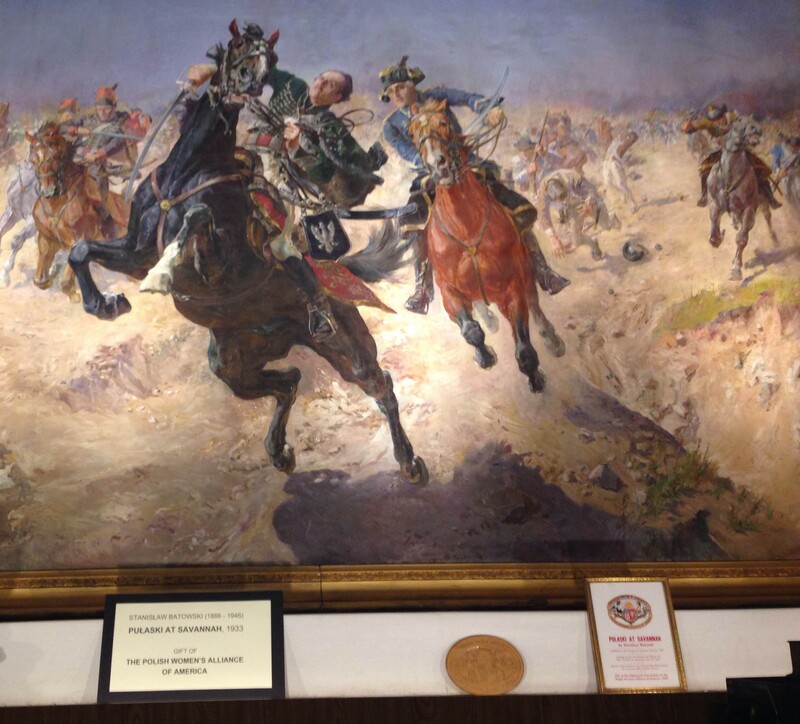 “I do not see more Poles returning to this area.” Aksnowicz said while eyeing several traditional Polish paintings preserved after World War II. Reflecting on this statement may strike a saddening impression for Polish traditionalists, but luckily Aksnowicz and Madej are two strong-minded examples of individuals that do not allow new adaptations within society to compromise their strong hold to Polish heritage. Even though Chicago’s famous neighborhood of Wicker Park isn’t home to as many Poles as before, the ones who are still there hold on tightly to their culture. Adam Aksnowicz, 22 of Arlington Heights, is Polish and is a collections care assistant at the Polish Museum of America. Aksnowicz says many moving parts cause the changing population in Wicker Park. He says Polish people leaving mixed with young Americans moving in caused the neighborhood to change. He says that he expects neighborhoods to change, and because of that, he doesn’t see gentrification as positive or negative. Looking into the future, he says Chicago’s Polish population will not increase. Helena Madej, 76 and Polish, lives above her authentic Polish restaurant in Wicker Park. Madej has cooked at and owned Podhalanka for 30 years, and she says over those years, she has seen a change in her customers. She says before the gentrification of Wicker Park, she used to serve mainly Polish people, but now it’s a lot of young Americans that visit her restaurant. After the population changed, crime rates went down a lot in the neighborhood. Mandej says she’s very happy she lives in Chicago because living in Poland can be very difficult. She says people work really hard there, but all of their money goes to food, and their left with no more money. 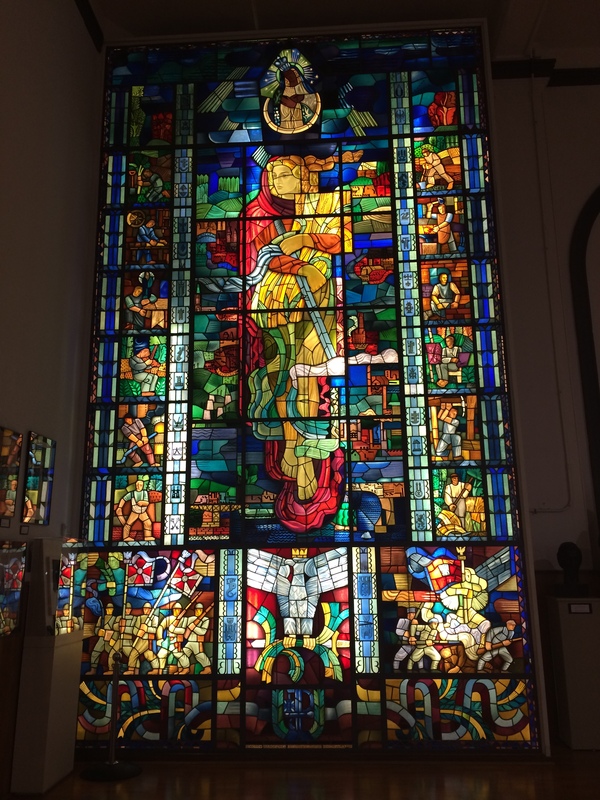 From Friday to Tuesday at 11a.m., the doors of the Polish Museum of America open and the hopes of keeping Polish culture present in the Wicker Park community are put to the test. Wicker Park, for decades, has been the home of many Poles and the center of work for 19th century Polish immigrants seeking refuge from occupation and fleeing from poverty. Since then, Polish culture has been embedded into the Chicago way of life to the point where its prevalence has begun to dwindle and it has morphed into conformity. In a town that was previously a melting pot of Polish culture and a hot spot destination for immigrants, native Poles now face immense changes through the all too common process that is gentrification. This is never more evident than in Wicker Park as chain stores like CVS, Subway, and McDonalds are replacing local and ethnic Polish shops. As young Poles moved onto different neighborhoods and lifestyles, older Poles died out and gentrification swept in. Though the neighborhood has now turned trendy through urban development and has said goodbye to many Polish traditions as well as people, a few ins institutions such as Chopin Theatre and Podhalanka restaurant, remain in attempts to preserve and hold onto Polish lifestyle. “I love Wicker Park, it is safe downtown and the people are nice; that is why I make no change. I have very nice customers, young Americans.” said Helena Madej, owner of Podhalanka. Many can argue that this rapid change in culture is for the better as the town is now a safe community, but there is no denying that things are different in wicker Park. Those few Polish establishments left, do not let this change their Polish pride and way of life though. “A lot of Polish people lived here. Fifteen years later it changed, very changed. But I make Polish breakfast for young Americans, it’s just different people.” says Madej. It’s mid afternoon and Helen Madej sets down a plate of Polish pancakes on the counter of her restaurant, but as she peers out into the dining area she doesn’t see any customer of Polish descent. “Most of my customers aren’t Polish but that’s a good thing,” Said Madej the owner of Podhalanka, one of the only remaining authentic Polish restaurants in the neighborhood. The reason why the majority of Madej’s customers aren’t Polish is because Wicker Park is slowly but surely losing it’s Polish identity. Wicker Park used to be a Polish cultural hub in the Chicago. But, due to a difference in immigration as well as the effects of gentrification, Wicker Park might not ever return to being the supreme Polish neighborhood in Chicago. 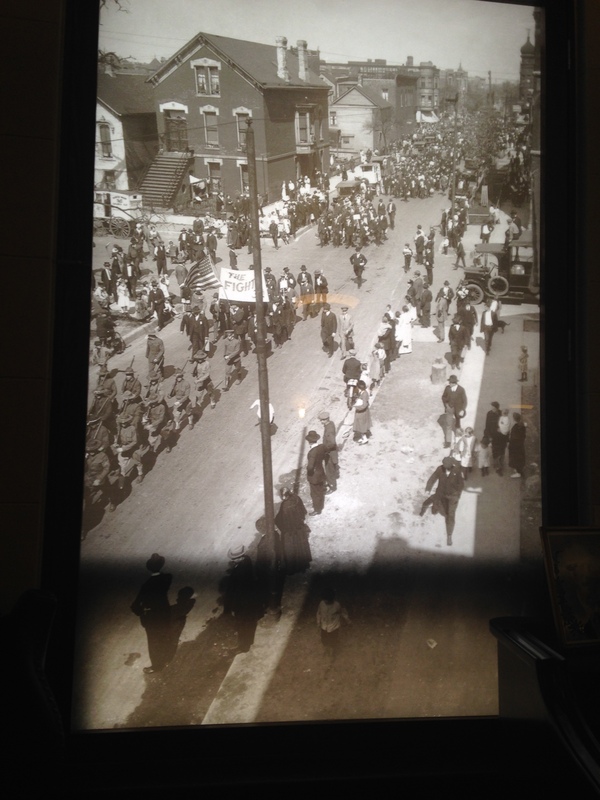 There were three main waves in Polish immigration to Chicago; however these waves brought completely different type of Polish immigrants to the neighborhood. “The first and second immigrants were mainly composed of un-educated skilled laborers, as opposed to the highly educated ‘white collar’ third wave, “ said Adam Aksnowicz, 22 ,a tour manager at The Polish Museum of America. These different waves shared their Polish heritage but had completely different visions for the future of the Polish people. The difference in visions made it difficult for the varying waves of Poles to coexist, and led to the displacement of Poles to various other Chicago neighborhoods. Now if that wasn’t enough to damage the Polish identity in Wicker Park the effects of gentrification sealed the deal. As more upscale business moved into the area, the neighborhood improved drastically. Crime decreased drastically and new businesses increased opportunity for employment in the area. Yet, while gentrification “cleaned up the neighborhood” so to speak, it is essentially destroying the remaining cultural identity. Polish immigrants were no longer able to afford the increased rents and property taxes this forcing out the last of the residents who kept the Polish culture alive. Restaurant owner Helena Madej once could look out her restaurant window, Podhalanka, and see the Polish neighborhood of Wicker Park bustling with people speaking the language, or eating an old-fashioned potato pancake. Thirty years later, she now looks outside her restaurant window and sees hipsters riding down the street on bikes or people eating pizza. Times have changed for the 76-year-old Polish immigrant, and she realizes that no matter what neighborhood a person lives in, change is inevitable. “I love Wicker Park though because it’s very close to downtown, the people here are very nice people and I have very nice customers,” Madej said. This change that Madej saw as inevitable came about in the 1980’s due to two generations of Poles not having the same values or ideas. As the Poles moved out of Wicker Park they took their businesses with them, and in came business owners looking to bring back single-family homes, and the upscale image that was once there in the early 20th century. Wicker Park became once again in the 21st century one of the most hip neighborhoods in Chicago with businesses like Urban Outfitters and Starbucks covering the streets, while few Polish businesses remain. One person who has tried to keep the Polish culture alive in the area is Adam Aksnowicz a 22-year-old docent of the Polish Museum of America. 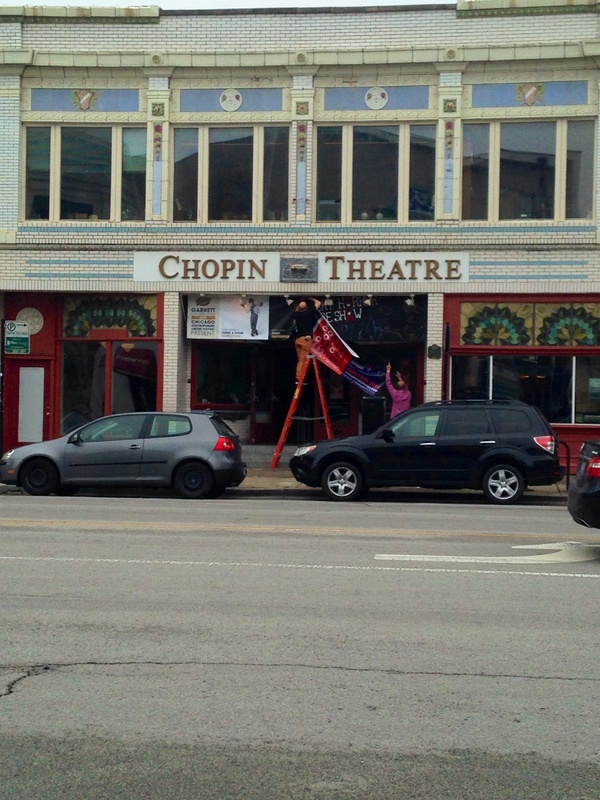 As a child, Aksnowicz would come to the then heavily Polish community of Wicker Park with his family and see shows at the historic Chopin Theatre, and go to restaurants like Podhalanka. Growing up though, he understood the community was gentrifying, and made a promise to himself to keep his Polish traditions alive. “It’s important to hold onto Polish customs and traditions,” said Aksnowicz, who lives in suburban Arlington Heights. With fewer Polish people in Wicker Park, Aksnowicz does not see them ever returning since there is nothing here for them anymore. They understood that to keep what is left of the Polish community in Wicker Park they needed to adjust with the changes that gentrification brings. Aksnowicz has experienced firsthand what gentrification can do to a community, and has an indifferent view of the ideology.